Genuine Talavera Tiles come from Dolores Hidalgo located in central Mexico. It is a region full of tradition and old world production techniques. Once upon the time when talavera tiles were introduced in Mexico only dark blue color was used for patterns, the background was antique white. Since it was the most costly colorant it was used primary by the privileged in their houses and palaces. Now days talavera style is full of contrasting colors. Still, classic colonial cobalt patterns are in the production and used in more traditional spaces. 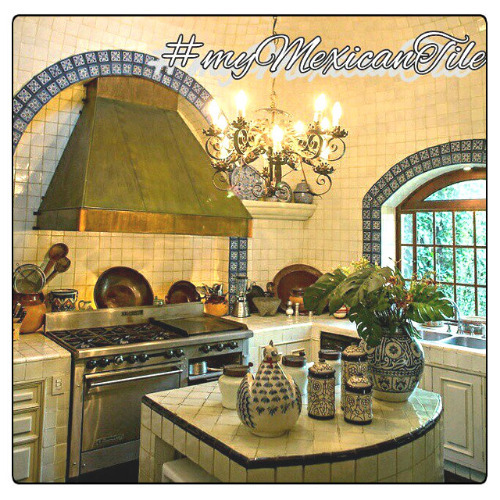 Talavera tiles are the most notable Mexico’s tradition. Talavera tiles from Mexico are resistant to temperatures, however, they may suffer damage when water is freezing on their surface. By looking at your home discretion both stairs and the wall are covered with the roof so you should be fine with installing talavera tiles.